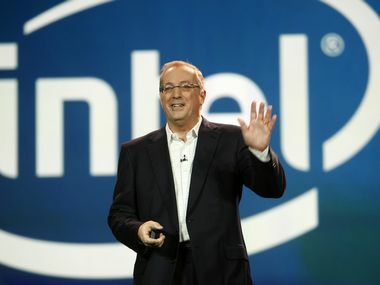 Otellini worked for Intel for some 40 years, serving as chief from 2005 until he retired in 2013, according to the Silicon Valley based computer chip giant. "We are deeply saddened by Paul's passing," his successor, Intel CEO Brian Krzanich, said in a release. "He was the relentless voice of the customer in a sea of engineers." Otellini was credited with positioning Intel operations for long-term growth in the face of economic recession and lifestyles shifting away from personal computers. Intel listed Otellini's accomplishments as including business partnerships and strategic acquisitions that expanded the company's presence in security, software, and mobile communications. Intel brought in more revenue during Otellini's eight-year stint as chief executive than it did during the previous 45 years combined, according to the company. "Paul's business acumen, optimism and dedication fueled our growth throughout his tenure as CEO," said Intel board chairman Andy Bryant. The San Francisco native earned a masters of business degree from the University of California, Berkeley, in 1974, the same year he began his career at Intel. Otellini is survived by his wife of 30 years along with a son and daughter.